They say, “You only get one chance to make a first impression.” At Holly’s Staten Island Buzz Realty, we understand selling your home can be stressful. We can help you diminish some of that anxiety by teaching you ways to prepare your home for potential buyers. As an experienced realtor, I know the process of “staging” property is vitally important! From the moment, you commit to marketing your home for sale, our firm will commit to transforming your home into a place that potential buyers can easily picture as their own. As part of our realty services, you will have our undivided attention, guiding you through every step of the home selling process. This summer, Holly’s Staten Island Buzz Realty offered “7” fantastic Home Selling Hints on our Instagram Page. You can set the stage for success with these tips for selling your home, and we guarantee you will see results — FAST. Tip #1: Make Your Home Sparkle: Presentation is everything. Buyers love clean and spacious homes. If you really want to dazzle them, brighten your home by removing clutter from countertops, tables, and rooms. Scrub down your house from top to bottom. Make it sparkle. Tip #2: A Picture Is Worth a Thousand Words: If you are taking a photo of your home, be sure that the home’s yard and driveway are uncluttered. Remove bikes, garbage cans, and parked cars. The same applies for interior shots. People are looking to buy your home, not your possessions. Rely on me, as your realtor, to help you prepare your home to be “picture perfect” both inside and out. Tip #3: Make or Offer Something Yummy: Realtors don’t put out fresh cookies just to treat buyers. A “homey” smell like baking cookies or bread can help people connect with a kitchen. Not a baker? Fake it with a scented candle. Tip #5: Highlight Focal Points: Draw buyers’ eyes towards any special features with bright colors or accents like plants. A pop of red throw pillows can draw a buyer’s attention to that lovely window seat. A striking fern on the mantle can show off your fireplace. Accentuate the positive. Tip #6: Make Your Bathroom Feel Like a Spa: Create the feel of a relaxing spa by stacking a few pretty washcloths tied with a ribbon. Add some scented candles and faux plants. Buy bath mats and towels in coordinating tones such as light green, blue or white. Tip #7: Boost Your Curb Appeal: Don’t spend all your time indoors. Trim your shrubs, weed your flowerbed, fix any peeling paint, and keep the walkway clear. Just adding a row of potted plants along the walkway or a cheerful wreath for your front door can make a big difference. 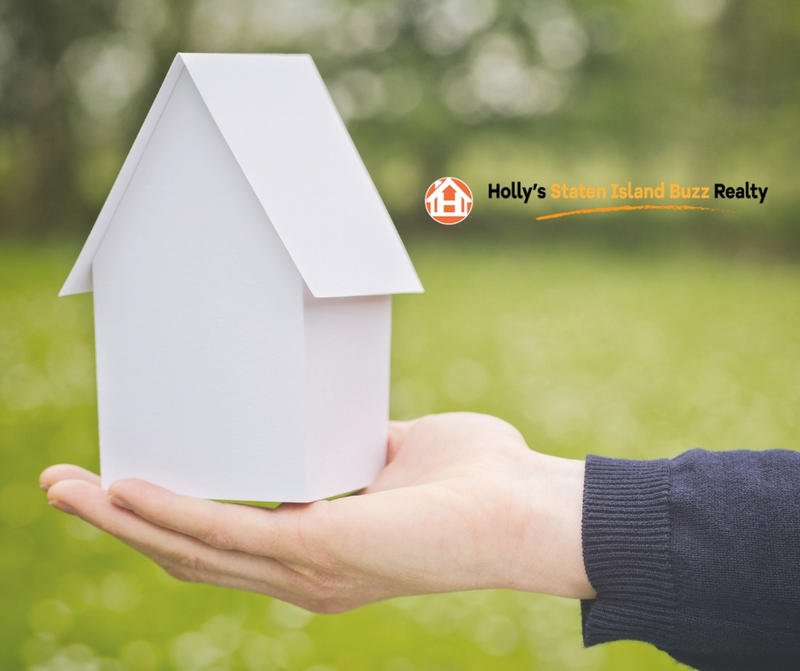 Be sure to follow Holly’s Staten Island Buzz Realty on Facebook, Twitter, YouTube, and of course, Instagram!